After experimenting with different variations of Hummus, We came up with one that even the picky eater in the house couldn’t get enough of. 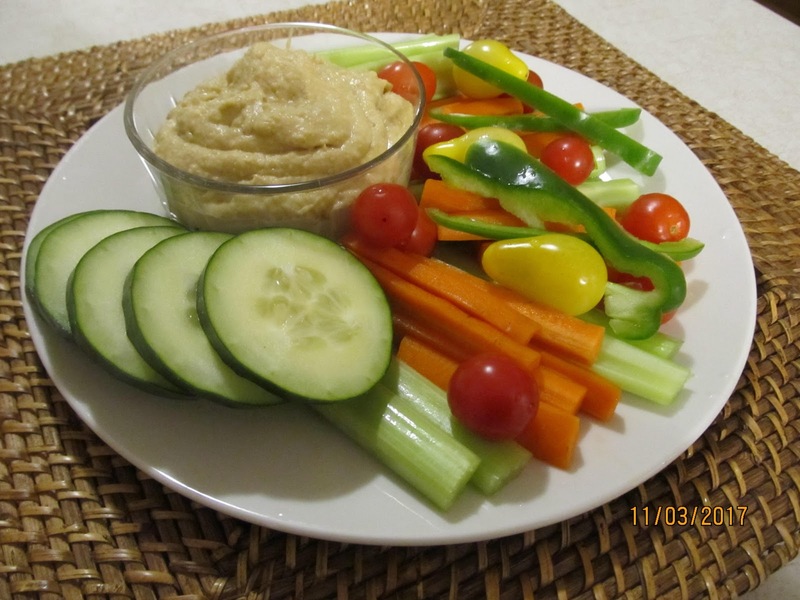 This is also the same Hummus I used in the Hummus veggie sub sandwich and salad plate. Please enjoy. 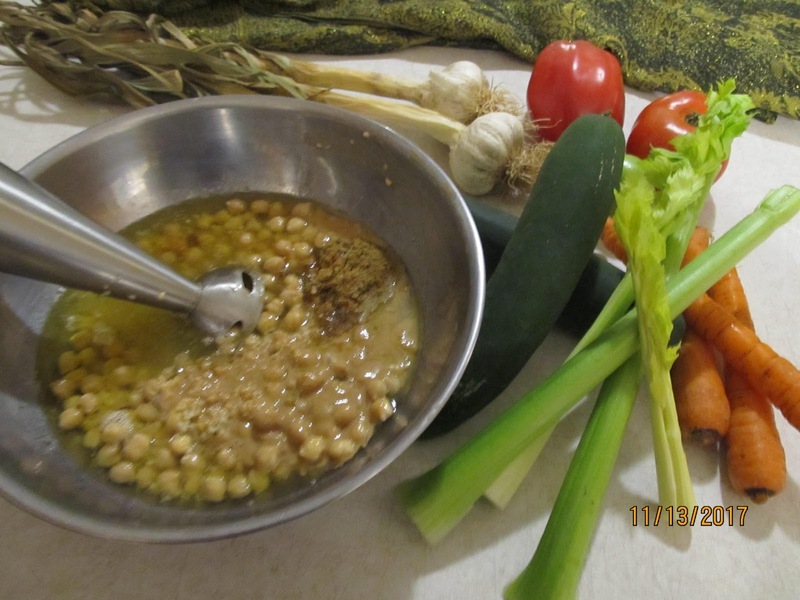 – Pour garbanzo beans into large bowl. 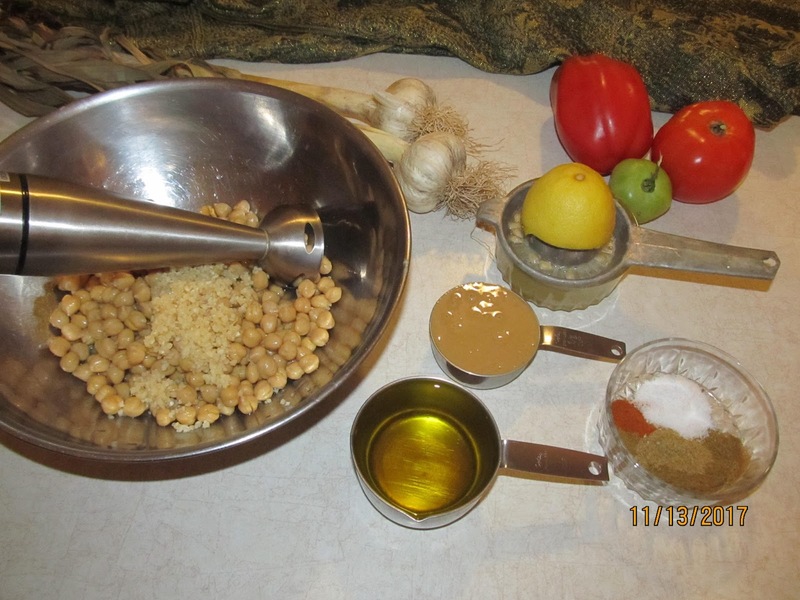 – Add Water, Lemon juice, and Tahini Paste. – Using a hand blender, mixer, or food processor, mix together well, or until there are no longer any lumps and its very creamy. Its very good with Pita chips, or tortilla chips. hmmmm I will definitely try to make this some time soon. I really like humus, but never made it myself. Should be a lot better than the supermarket stuff. Do you peel the beans? You know, take off the skins? I’ve tried that once. It was harrowing. Wonder if it makes THAT much difference. And you don’t cook them, either? It doesn’t make a difference, but I mostly keep the skins on, no I don’t cook them.